A counter-depth refrigerator is typically close to 24 inches deep, the same as the average countertop depth, so they fit in close to the countertops rather than sticking out 5-7 inches. 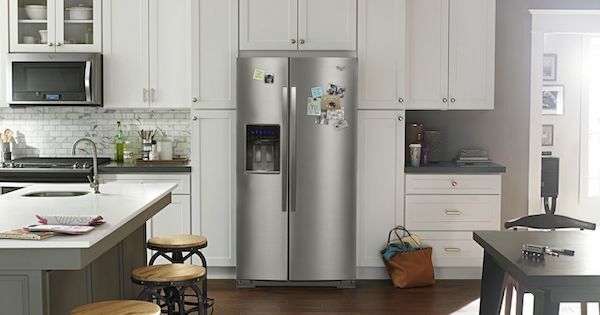 This is a step up from typical refrigerators that can give your kitchen a sleeker, high-end look without springing for a built-in or panel-ready design! We've compiled some of the largest counter depth refrigerator models available today to help large households find the perfect option for their needs. Our reviews include features, prices, and links to customer reviews to help you discover these new models!